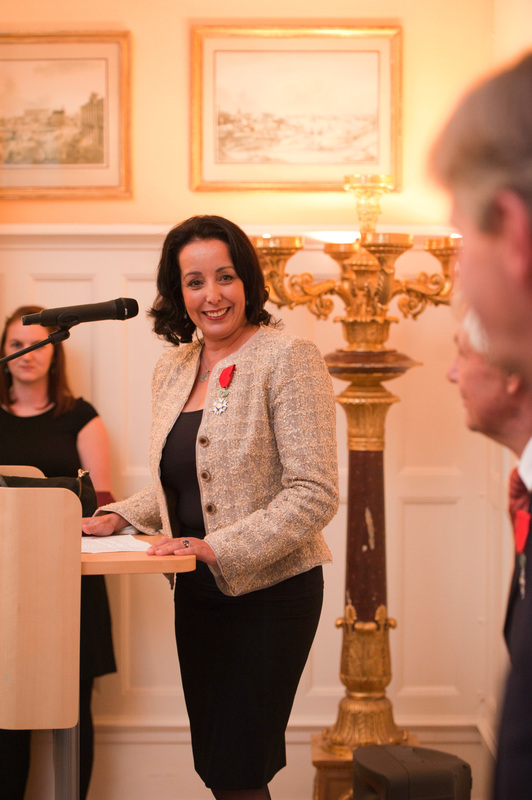 On September 20, 2012, Saida Laârouchi Engström, SKB’s Vice President for Strategy and Programme, was named Knight of the French Legion of Honour. She received the decoration for her many years of contributions to France’s national nuclear waste management program and issues concerning the safety of nuclear technology. Saida Laârouchi Engström was moved at the ceremony when she received France’s highest honorary decoration from the French Ambassador to Sweden before 60 invited guests. Saida Laârouchi Engström emphasizes that she is far from being the only person at SKB who is active in the international arena. Sweden’s nuclear waste programme has a fine international reputation and many SKB employees have helped other countries advance their programmes over the years. The Legion of Honour is the highest order of France. It was established by Napoleon Bonaparte in 1802. The decoration is awarded for outstanding military and civil achievements.